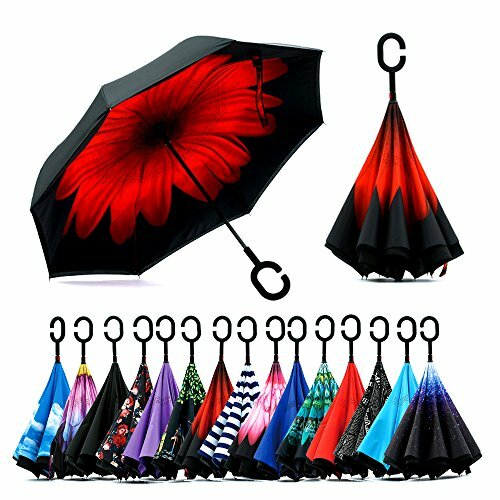 <p><b>•Unique Double Layer and Reverse Opening and Folding design:</b></p> Fold the top "wet" layer into the under "dry" layer when you step into your car or store or wherever, which prevents water from dripping, keeping floors and cars dry. 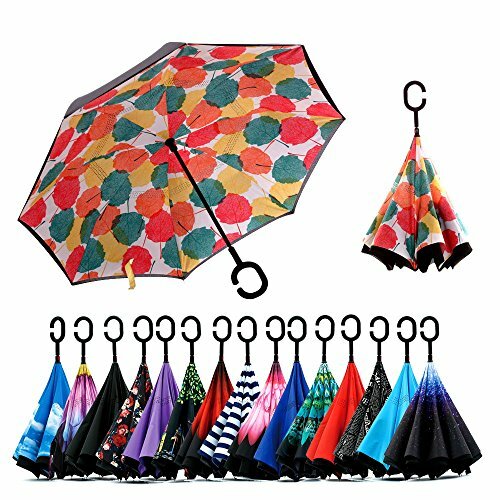 <p><b>•Comfortable Frosted C-shaped hand Grip Design:</b></p> Cross the C-shaped handle over your arm, made your hands free for holding a baby, bag or mobile in the rain. 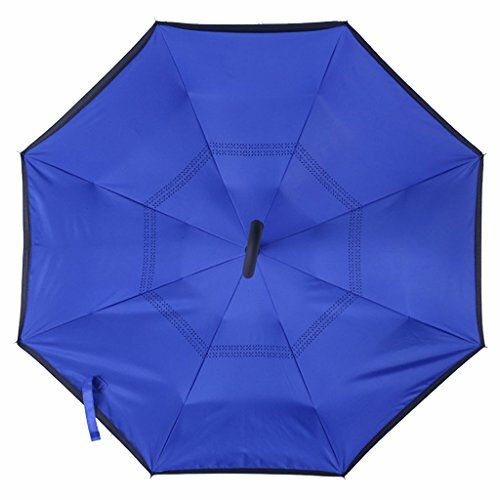 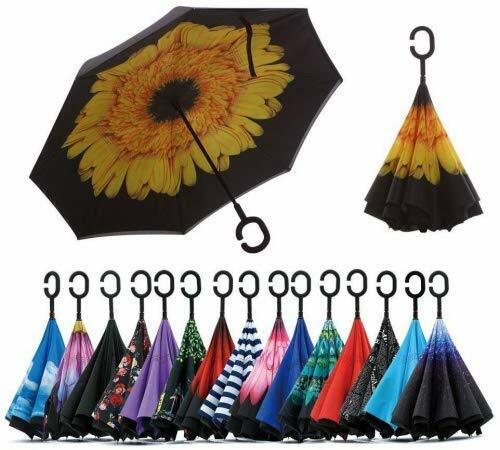 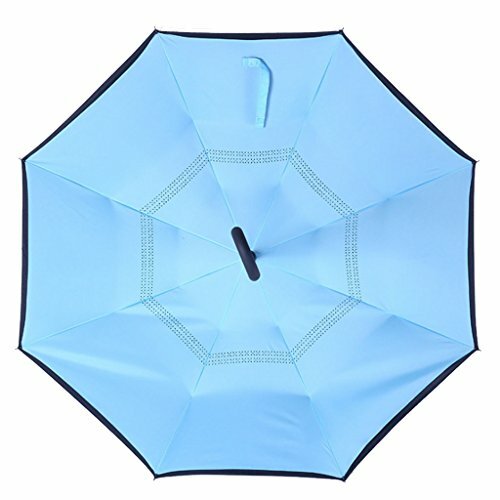 <p><b>•Self Standing Design:</b></p> The inverted umbrella can stand up on it own when closed without being held tight by the velcro close strap. 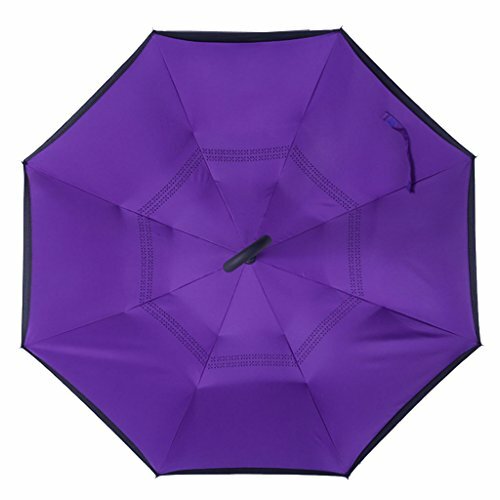 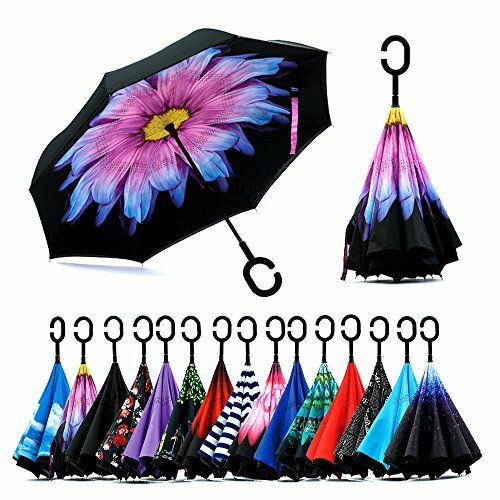 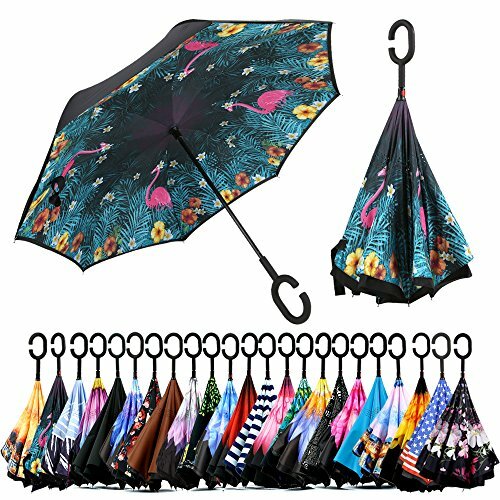 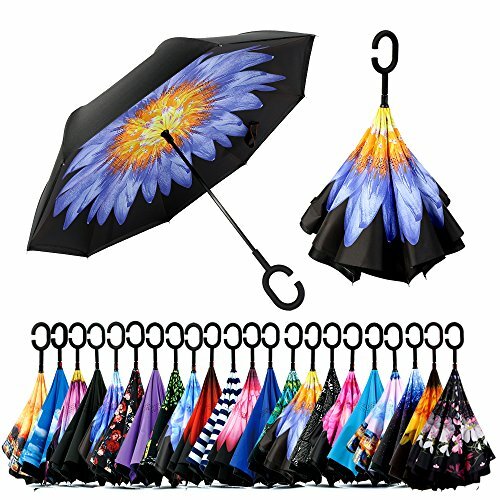 the 8 umbrella beads of the frame are transformed into eight legs upon contracting the umbrella. 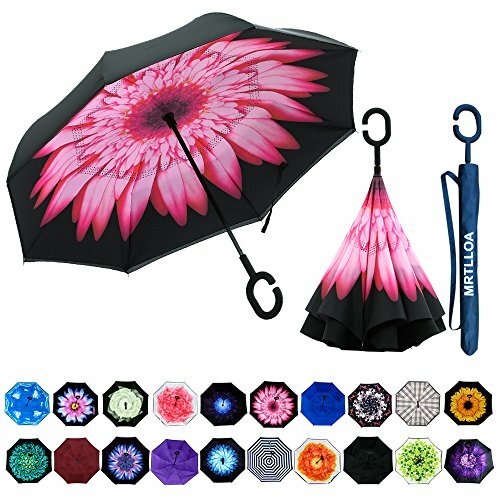 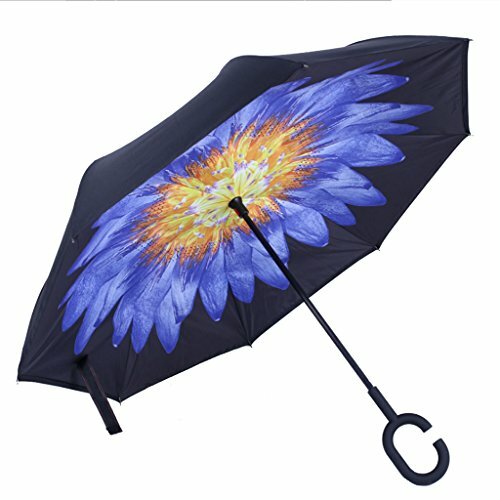 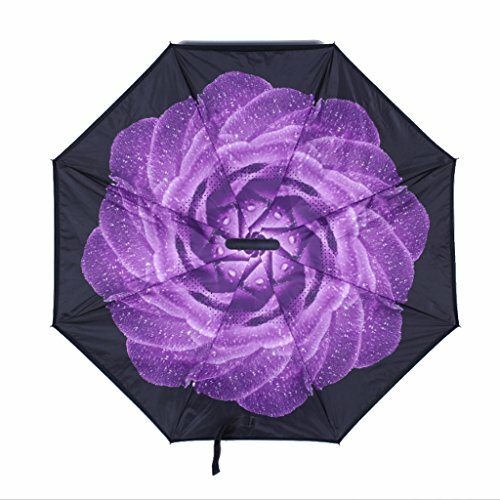 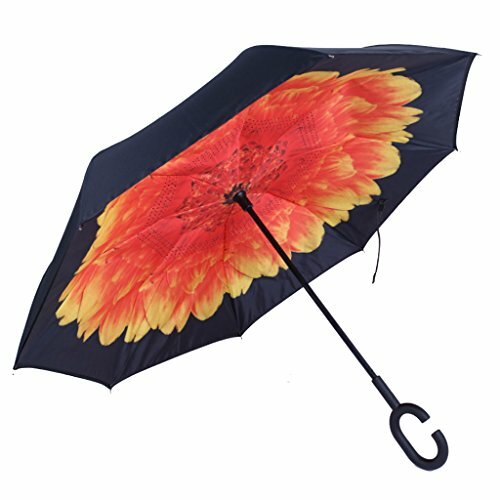 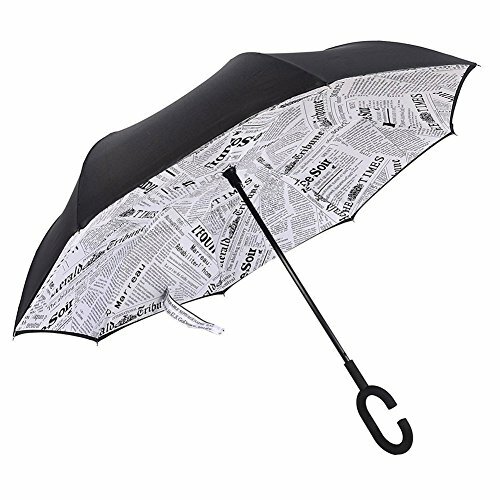 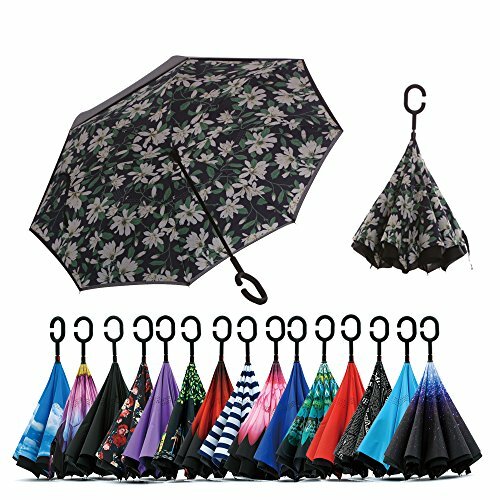 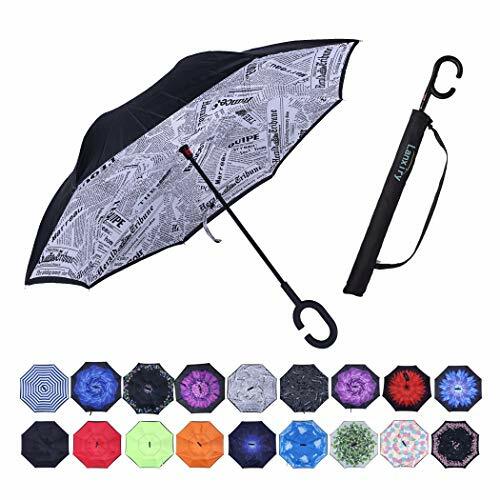 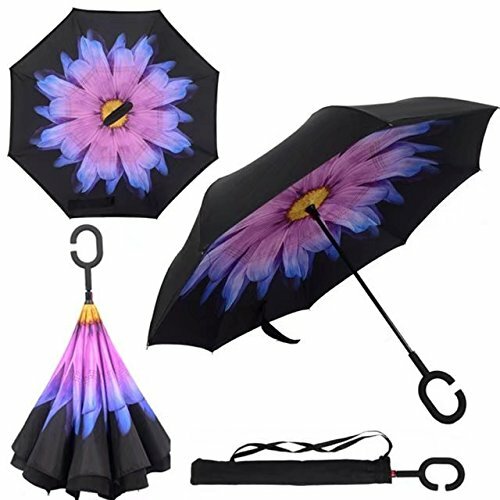 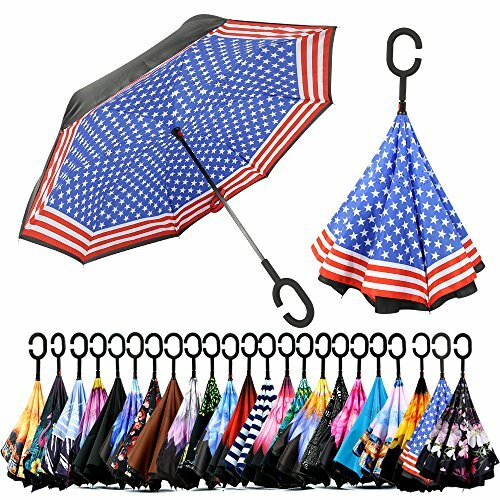 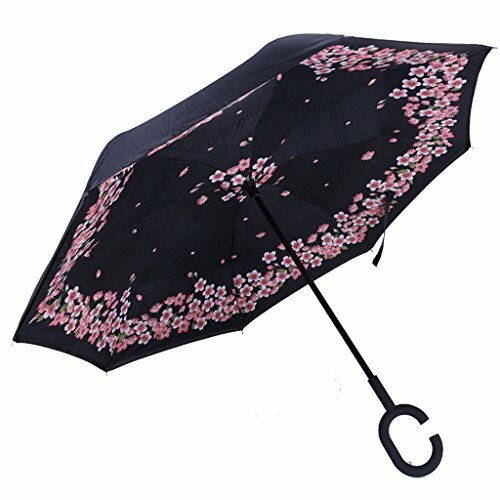 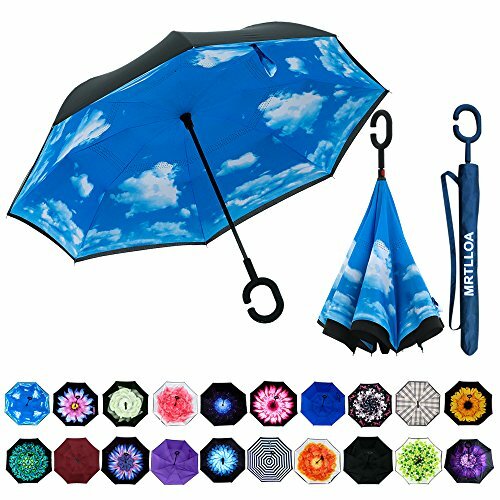 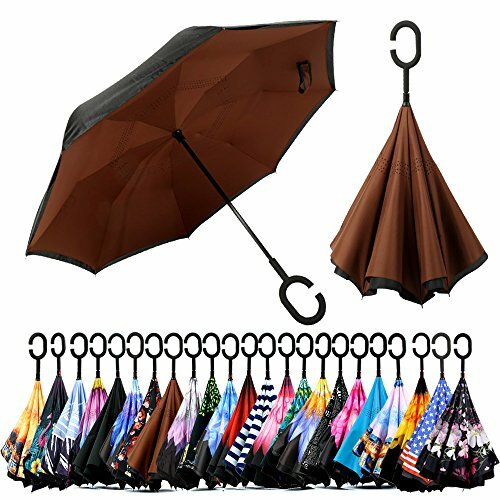 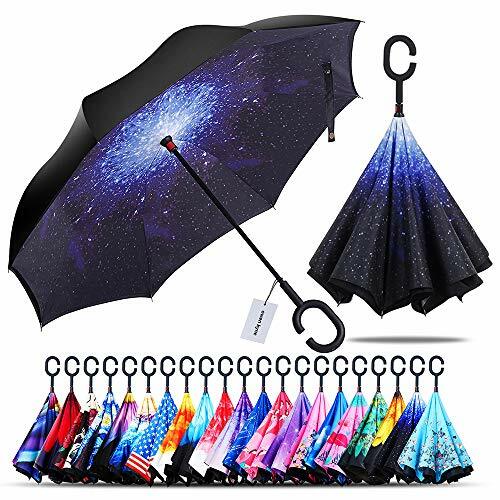 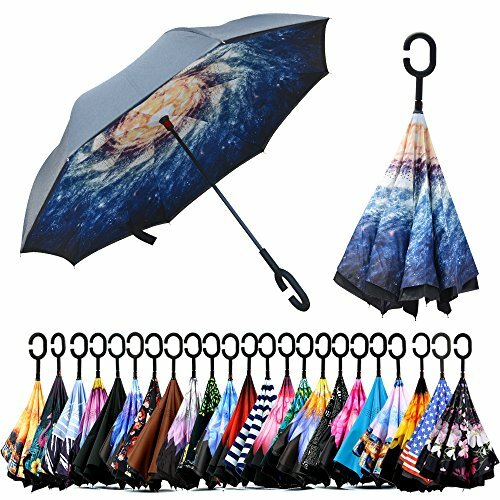 ideal for when you have nowhere to prop your umbrella up against. 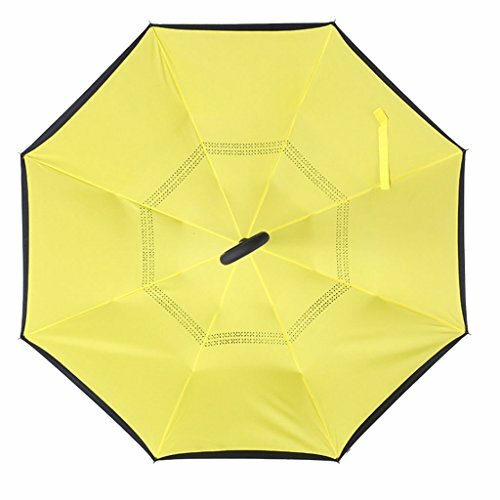 <p><b>•Superior Windproof:</b></p> Double layers stand, 8 reinforced fiberglass ribs, it can protect you from strong wind, heavy downpour. 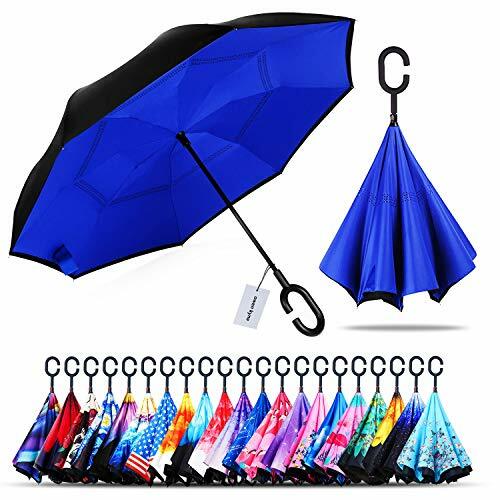 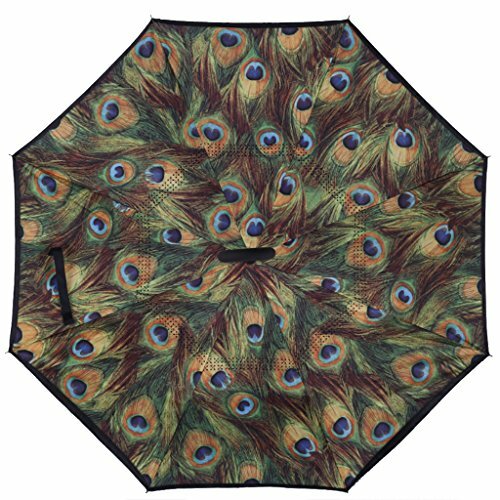 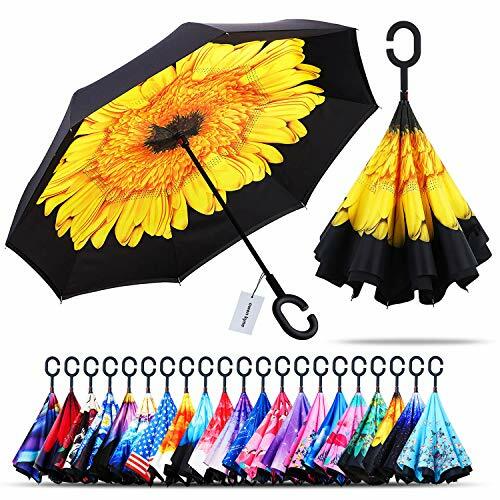 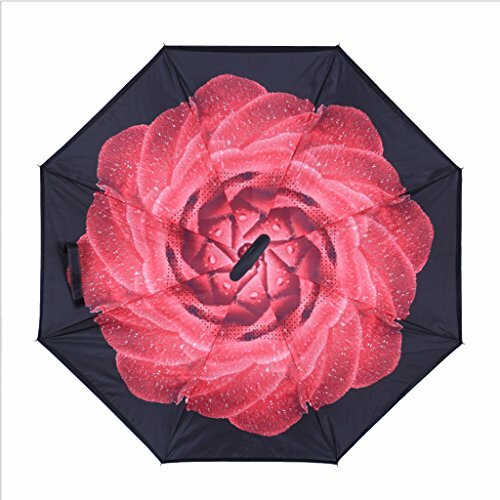 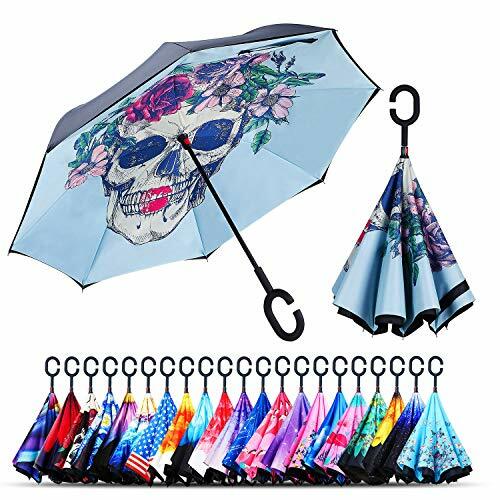 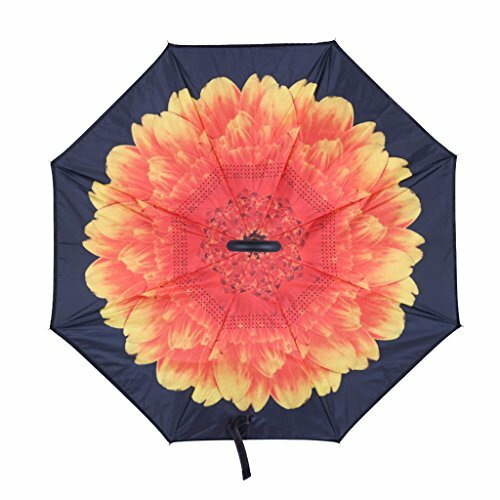 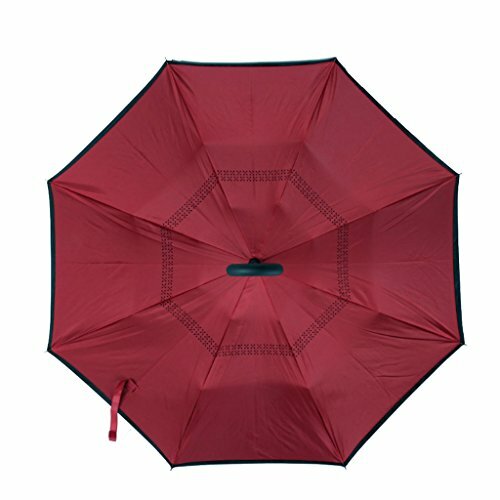 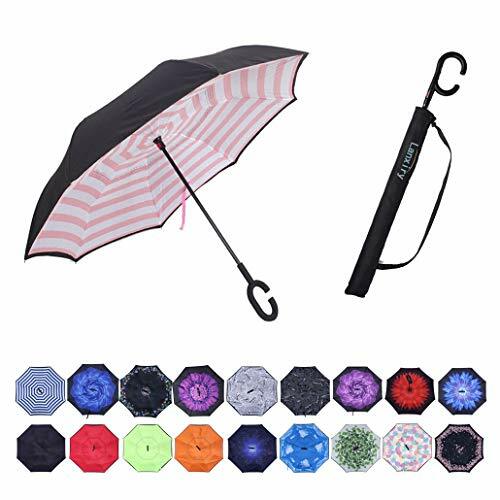 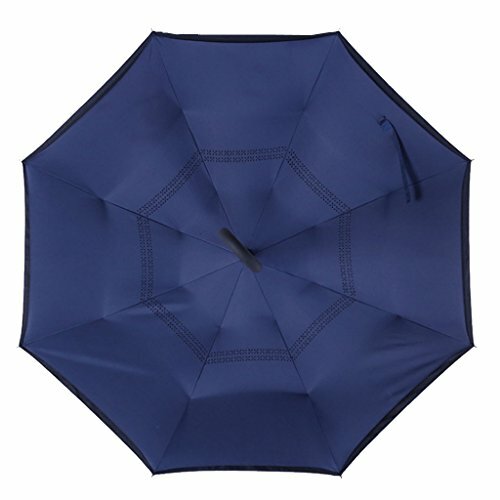 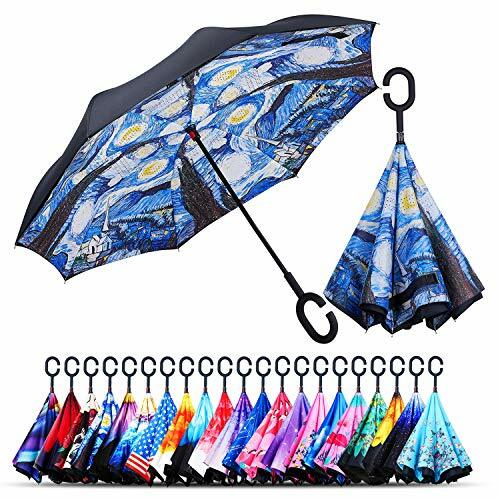 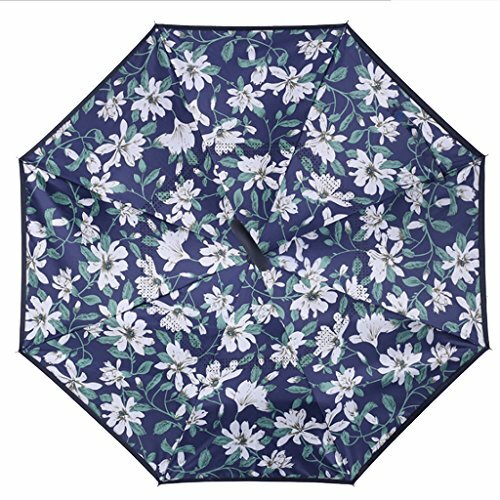 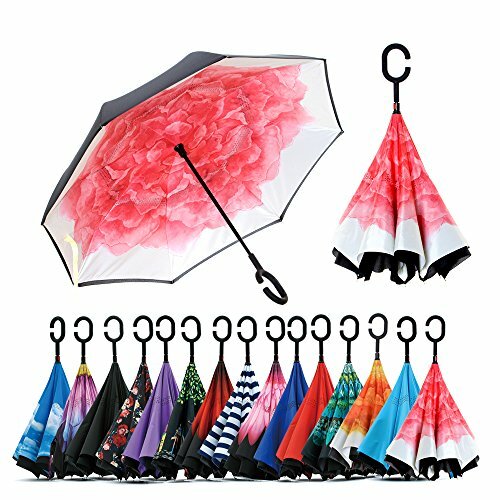 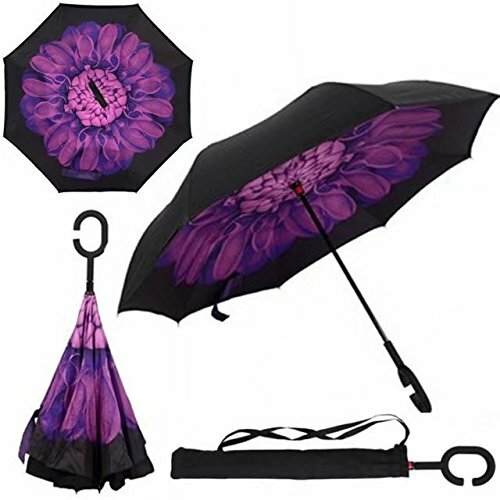 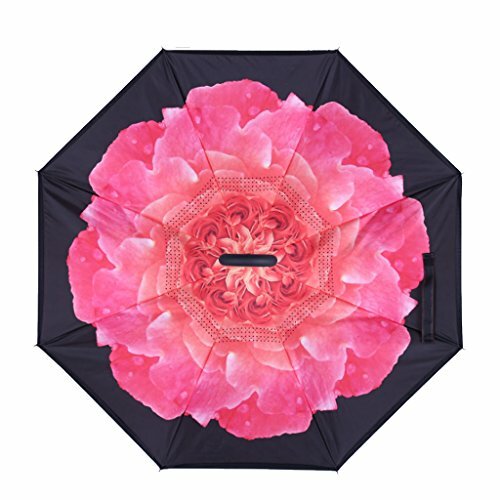 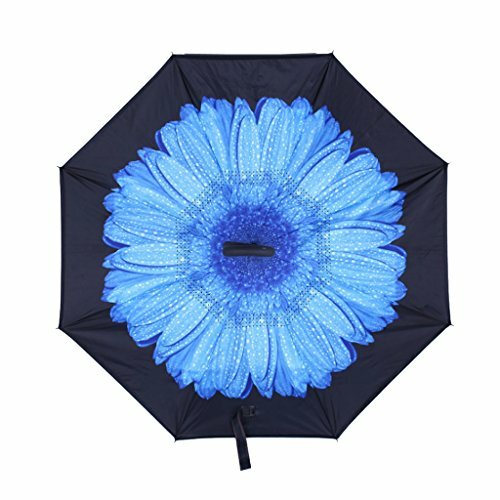 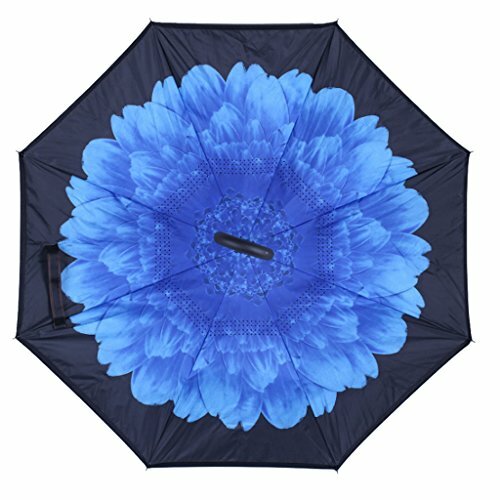 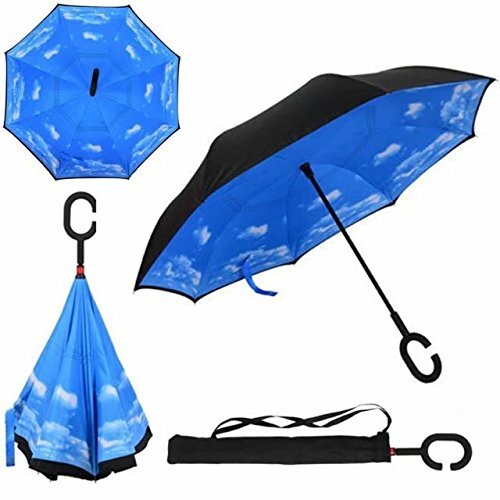 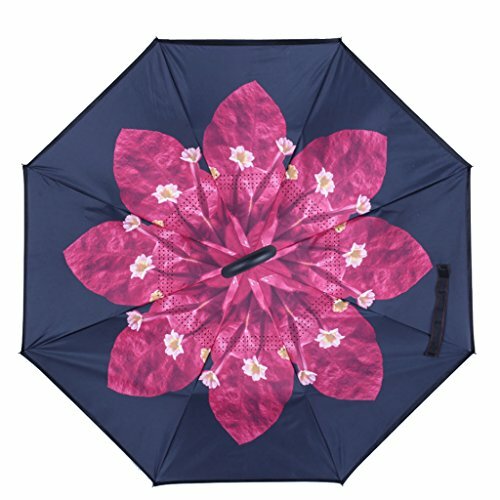 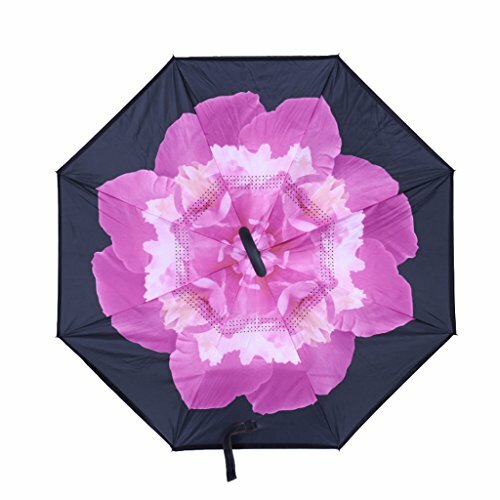 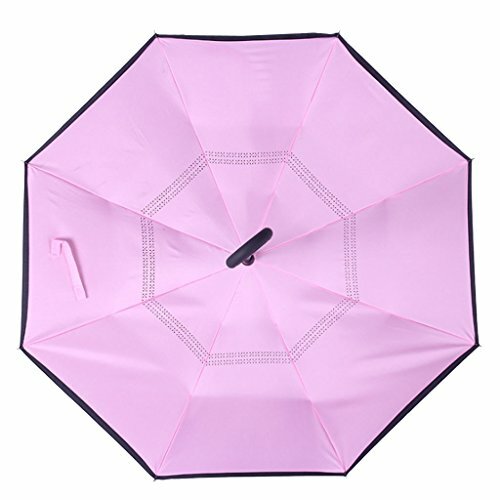 With the breathable double layer canopy, this umbrella can enhance its windproof effect, prevent it from flipping inside out and maintain the elegant rounded shape.